Last time in our blog series we looked at how long coffee lasts. Because coffee is a perishable good, it does go stale over time. So the next question is, what use can stale or leftover coffee be? The UK is becoming increasingly zero-waste and this blog (and others we have done before) can help you reduce your coffee waste. People ask us what they can do with stale coffee if they don’t use it up. So we have put together this special blog post just for you. We hope this encourages you to have less waste and get much more from your Pollards coffee. We would love to hear any other ideas or uses for coffee that you have, let us know on social media! Lets get into it. First things first, if your coffee beans are no longer any good for hot coffee in the morning, then you want to find the next best thing. We suggest, cold brew. Cold brew is an alternative to usual coffee or iced coffee, and luckily cold brew tastes just as good with those leftover beans. Cold brew tends to be less impacted by stale coffee beans so go ahead and make up a batch. It is also great to use if you’re mixing batches of beans, because it is less acidic. Additionally, it is not sensitive to flavour profiles so feel free to experiment and mix up those odds and ends from different batches. This is a great solution for cafes and small businesses too because cold brew is a trendy summer drink which is only increasing in popularity. We wrote about it specifically in our predictions for 2018 in our January blog. If you want to know how to make Cold Brew at home then check out this blog from earlier in the June. Coffee has plenty of uses around the home too. As an abrasive it is a great scrub. It can also be used to deodorise the home, coffee absorbs odours like a sponge in water. If you place your leftover beans in an open container in the fridge they will freshen up your fridge. Another idea is to use the beans for decorative purposes while the aroma lasts, as part of a candle or showcased in a vase. We love to experiment with coffee and make some fantastic home decor. Coffee also makes a great stain, or artwork or to age paper for crafts. We have done various creative blogs on our blog page. Such as making coffee soap as pictured here. 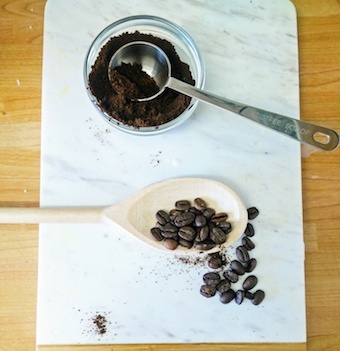 The second use for leftover coffee beans is a beauty hack. Coffee is a natural and gentle abrasive, and this gives it great exfoliating properties. Used as part of a beauty regime coffee can be put to use in various ways. Such as the coffee soap pictured above. We did a beauty blog with coffee a few months ago so make sure you check that out for great tips and tricks. Fresh or stale coffee will work. Using coffee for beauty often uses only a small amount of coffee so it is a great way to use the leftover beans in the bottom of the bag at the end of the month. So be creative and experiment with your beauty hacks, you will be surprised! – it can even be used as a temporary hair dye! Coffee is – as we all know – edible. So don’t limit coffee to just drinks. You can incorporate coffee into your recipes in various different ways. It is a great food to include and can completely change the flavour of a dish if used correctly. Admittedly this is best for fresh coffee so this tip is more aimed at the ‘leftovers’ rather than ‘stale’ coffee. Cooking only generally requires a few beans to add flavour so leftovers will be perfect. This tip also can use the leftover brewed coffee you have, such as half a cup at the end of a cafetière that would otherwise go to waste. On a BBQ – for this simply wrap some beans in foil and place under the grill on a gas BBQ, it will add a mild flavour to your food. We have created a Pinterest board of ideas for recipes which we have come across. We think these recipes would work well with our coffee blends. Please take inspiration from this board when it comes to recipes and cooking with coffee. Let us know if you create any of these recipes on social media! Ground up any leftover coffee to use around the garden. Or even better, recycle the used coffee grounds from making your cup of coffee. Especially now the sun has started to shine with summer on the way, we all want to be outdoors. 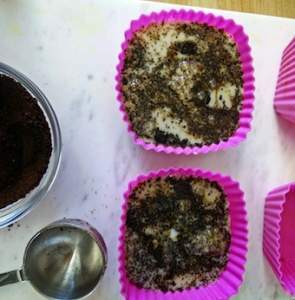 Spent coffee grounds can be put to use in your back garden if you are green fingered! Coffee can be used in composting, as a fertiliser, insect repellent and more! Pollards Tip – coffee is quite acidic, and some studies claim that the grounds will effect the acidity of the soil – although other studies say otherwise. To combat this, compost the grounds in moderation. Otherwise you may end up with high acid levels. You can monitor this and tweak the levels accordingly. Worms like PH levels between 6-8. If the compost smells more like vinegar than earthy, then your acid levels may be too high, so use less coffee grounds. Coffee is full of minerals such as calcium, magnesium, nitrogen and potassium to name a few. 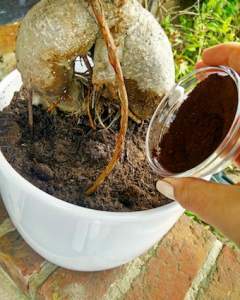 Spreading the coffee grounds on the top soil allows these minerals to release into your plants. Some plants flourish in more acidic soil, such as roses. Using coffee grounds when composting is easy, and the lovely aroma of the coffee, will help to hide those nasty smells in the bin. We humans all love the smell of coffee, but other animals and insects aren’t as keen. We can use this to our advantage! Insects such as ants and slugs dislike the acidic soil so fertilise the ground to repel those pests. This tip is more for leftover coffee. If you have any coffee remaining, at the bottom of a french press or similar. Some just pour it away, but you don’t have too. You can freeze this coffee in an ice cube tray to store in the freezer. Then use it to cool down iced coffee, or cold brew without diluting the beverage. A great tip that we use all of the time at home. Let us know on social media how you get on with using your leftover coffee beans and grounds, and what it was you decided to do!